What’s Underfoot In Your Barn? 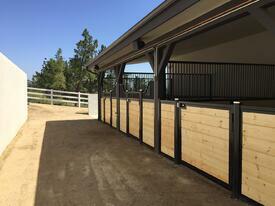 The flooring in your barn is what you and your horse will be standing and walking on. 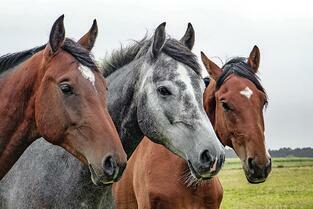 It’s important to pick the right flooring for both your horse and your budget. There are several flooring options available to you, but regardless of what you pick always remember to install your electric and water lines before choosing your flooring. The easiest and least expensive is just leaving everything dirt. However, you will want to make sure everything is as level as possible. Keep in mind horses in stalls can start pawing the dirt and can eventually make quite a substantial hole. In addition, if you have a high water table, a prolonged rain or melting snow can cause your stall and aisle ways to become a muddy mess. A better option is installing several inches of gravel, sometimes called screenings or 5/8 minus. You want small, irregularly shaped gravel – the roundness of pea gravel can cause it to shift too much and large stones can bruise a horse’s hoof. Once the gravel is installed, compact it down. You can rent a compacting machine, but if you just have a few stalls, you can also just spray the gravel with water, and then use a hand compactor to pound. Repeat a couple of times, letting it settle a few hours between compacting. Another common flooring option is concrete. It is expensive, but easy to clean and disinfect. It can also be hard and cold on the horses that are standing on it. Many barn builders use concrete in feed and tack rooms to help prevent rodents from burrowing in. 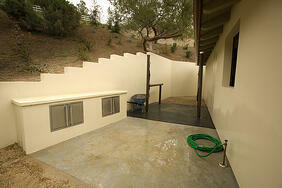 Concrete is also common in aisle ways and wash racks where it is easy to keep dry and clean. However, concrete can be slippery so many people opt to “score” the concrete with lines for a more non-slip surface. The addition of stall mats (like those by Classic Equine Equipment) to any of these options can help keep horses from pawing dirt floors and can add additional cushioning with gravel or concrete floors. Classic Equine Equipment also offers Tru-Step® Pavers for a safe, comfortable and nonslip surface in horse stalls, aisles and wash racks. Other flooring options include stable-ity Grids, and stall mattress systems. 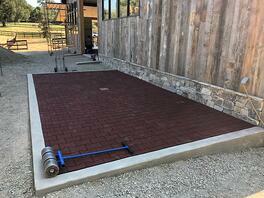 Your flooring is a critical part of your barn, and one that is difficult to change once it’s done.